Area code 403 was put into service. 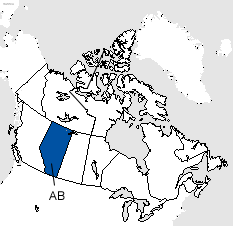 Area code 403, along with area code 819, was split to form area code 867 which serves Nunavut, Northwest Territories and Yukon. Area code 780 was put into service. Area code 780 was created from a split of area code 403. Area code 403 was overlaid with area code 587 which is an overlay of area codes 403 and 780. Area code 825 was put into service as an overlay of two existing area code overlays (403 and 587) and (780 and 587)..
Area codes 403, 587 and 825 cover the southern portions of Alberta including Calgary, Airdrie, Banff, Brooks, Canmore, Claresholm, Crowsnest Pass, High River, Medicine Hat, Olds, Lethbridge, Red Deer, Rocky Mountain House and Strathmore in addition to many smaller communities.